BEIJING, Sept. 19 (Yonhap) -- The two Koreas' summit agreement to reduce cross-border military tensions and prevent armed clashes is tantamount to a declaration ending the Korean War, some Chinese experts said Wednesday. They also shared the view that South Korean President Moon Jae-in and North Korean leader Kim Jong-un achieved some progress in the North's denuclearization that could satisfy the minimum demands of the United States. Jin Jingy, a professor of Peking University, said that the outcome of the inter-Korean summit in Pyongyang somewhat exceeded his expectations. "The leaders of South and North Korea did all they can do in the military and security fields, as bilateral economic cooperation is restricted under the circumstances of U.N. sanctions (on the North)," Jin said in an interview with Yonhap News. 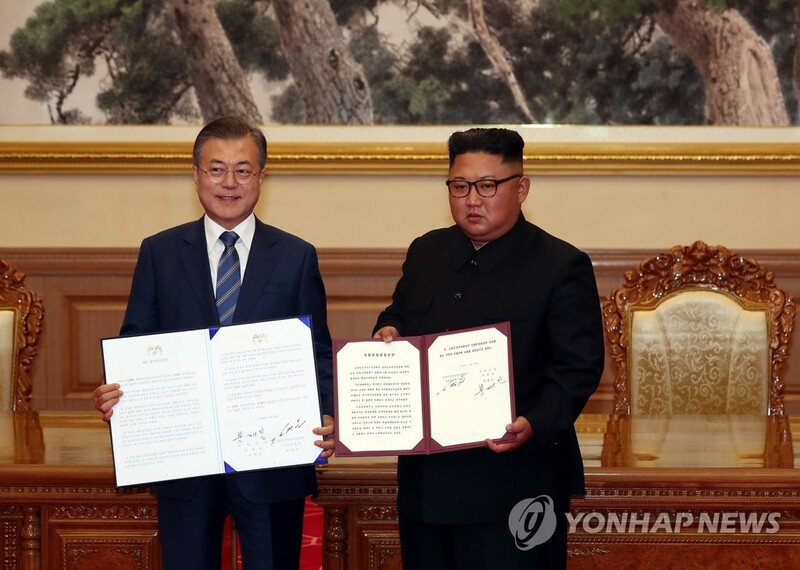 "It is no exaggeration to say that the two Koreas virtually declared an end to the war, as their comprehensive agreement appears to be intended to terminate military hostilities and the danger of a war. Such measures may help revitalize the stalemated process of denuclearization," said the professor. Jin said the inter-Korean agreement to permanently shut down the North's Dongchang-ri missile engine testing facility and missile launch pad and permanently dismantle the Yongbyon nuclear facility is noteworthy. "North Korea appears to have moved one step closer to its denuclearization with its promise to permanently shut down Dongchang-ri missile and Yongbyon nuclear facilities. The ball is now in the court of the United States." The professor also said the possibility of North Korea and the U.S. holding their second summit has now increased due to the latest inter-Korean summit agreement. 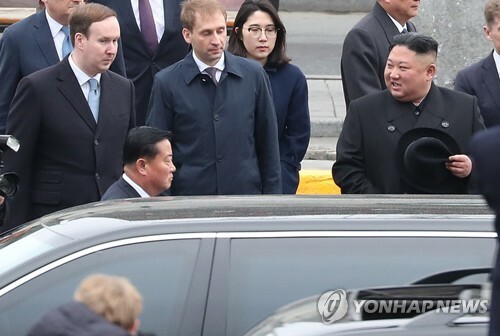 Mun Il-hyeon, a professor at China University of Political Science and Law, said that Kim appears to have an end-of-war declaration in mind by promising to make a reciprocal visit to Seoul. "If U.S. President Donald Trump accepts North Korea's denuclearization promise during his upcoming meeting with Moon next week, U.S. Secretary of State Mike Pompeo's Pyongyang visit will come true. Then the outline of a second Kim-Trump summit will come out. Kim may visit Seoul after his meeting with Trump," said Mun. Mun explained that the leaders of the two Koreas didn't unveil the details of the North's denuclearization process in consideration of the U.S.
"It seems that South and North Korea have reached a denuclearization agreement that can satisfy the minimum demands of the U.S. North Korea's denuclearization within Trump's first term and the signing of an end-of-war declaration this year seem to be interlinked," the professor said.